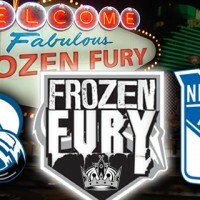 For the second time in history, the Kings’ annual pre-season party in Las Vegas had to be cancelled last September. On both occasions, the fun fell by the wayside due to labor strife between the NHL and NHLPA. 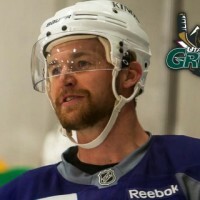 Trevor Lewis is finally ready to sign in the ECHL. It’s been said that a 3-goal lead is the worst lead in hockey. Well, it may hold true in the ECHL as well. Up 4-1 with just a few minutes left to play in regulation, the San Francisco Bulls had an epic defensive meltdown and came out on the losing end in Ontario on Wednesday. Also, links to the full MayorsManor video library can be found here. Anze Kopitar is 24 years old. Although he’s about to complete his sixth full season in the NHL, it’s an important fact to remember. Dustin Brown has averaged 27 goals per season over the last four years, he’s always near the top of the league in hits (currently second) and has a very favorable contract, including a cap hit of $3.175 million per season. Who wouldn’t want that guy on their team? So, of course, teams are interested in him.